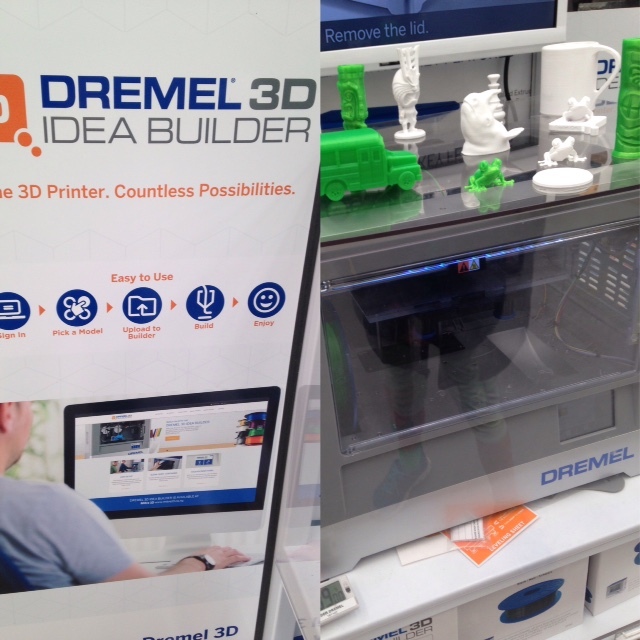 I was in Mega Mitre 10 on the weekend and noticed that they had a Dremel 3D printer for sale. 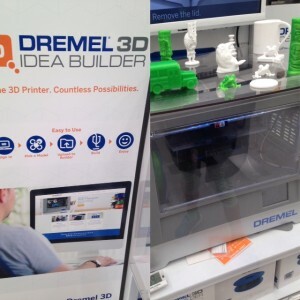 For $1700 you can print your own little plastic figurines. It’s a bit cheaper on-line, but I still prefer to look at the woodworking tools. Nonetheless, I thought it interesting since it is the first I’ve seen one for sale in a home improvement store here. The stock prices of companies selling 3D printing systems are falling, since the consumer boom hasn’t (yet) occurred. Nonetheless, companies such as Nike are thinking about letting you print your footwear at home, which would be both a significant advance, and useful to the average consumer. The US military is certainly very keen on using 3D printing for a whole range of gadgets and gear, and could be one of the key drivers (alongside manufacturing industries) for improving the capabilities of 3D systems. Although the military will have very high standards for suppliers to meet. Two of the latest 3D printing developments involve the printing of hydraulics systems (that could be used to produce robotic parts), and printing electronic circuits. These, and the printing of living tissue, signal how 3D printing technologies aren’t just replicating traditional manufacturing but extending it into new directions. … but could you have something more exotic designed and printed locally in a few years? Featured image: Flickr CC, Oliver Quinlan.